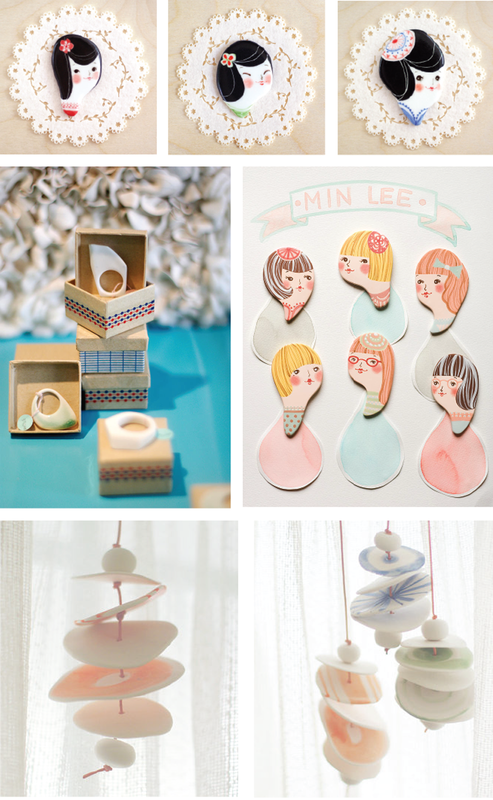 Seoul-based ceramic designer and illustrator Min Lee has created this charming line of ceramic pins, rings and chimes. She graduated from HDK School of Design and Craft in Sweden and opened an online shop, Minini, soon after graduating. You can follow her on Facebook and purchase her designs here on Etsy. Images: Courtesy of Min Lee.